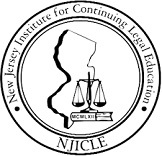 South Jersey construction lawyer Robert J. Incollingo has been invited by the New Jersey State Bar Association Institute for Continuing Legal Education to speak to local attorneys on the topic of insurance issues in construction litigation and to moderate a panel of speakers at the upcoming seminar entitled, “Tackling Contract Provisions and Insurance Issues,” to be held at the DoubleTree Hotel in Mt. Laurel on Thursday, November 12, 2015, from 4:00 to 7:30 p.m. To reach NJ ICLE for reservations, phone: 732-214-8500, or email through the Association website at https://tcms.njsba.com/personifyebusiness/njicle/CLEPrograms.aspx. Cherry Hill construction lawyer Robert J. Incollingo litigates real estate, construction and business matters.